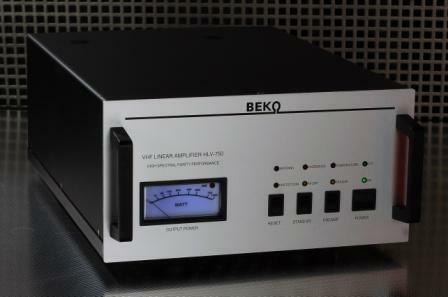 I have a solid-state Beko linear amplifier for 750 watts at 144 MHz. This has a built-in power supply that requires 220 vac and up to 5 amps max. How can this be used for portable ops? Where does the power come from? Therefore a single 2 KW generator will probably not have a comfortable safety margin. The load should be easily handled by a 4 kilowatt generator pair. What about connector ratings? Note that standard 110 v 3-pin line connectors are stamped with a 10-amp rating. Note the Honda generator's recepticals have "20A 125V rating", but the generator's inverter has 13.3A average current rating. This is significantly less than the estimated 16A requirement. Since I usually travel and setup alone, my top requirements are portability, size and weight. In addition, I really want low acoustic noise. I examined several alternatives. However, all the various choices were too too heavy, too expensive, and took up too much valuable truck space. Source: New cost at local Honda small-engine dealer was $2199 total. I found a pair on Craigslist for $1400 including connecting cables. Initial tests had no problems with rf noise without using a line filter. I can always add this later, if needed. Later: There were no problems with rf noise. My linear amplifiers require 220 vac, but these Honda generators only produce 110, even when connected together. A step-up transformer is needed. The transformer should be located alongside the generators, so the extension cord will carry lower current at higher voltage. This will reduce the I2R losses. That is, resistive heating (I2R losses) mean that 2x voltage yields 0.5x current, which means 1/4 of the resistive energy loss. My transformer is a Simran SMVS-3000 with meter, fuse, voltage regulator and stabilizer, rated for 3 Kva. This is a cheap Chinese device but I'm hopeful. Source: Craigslist for $80 or Amazon for $95. 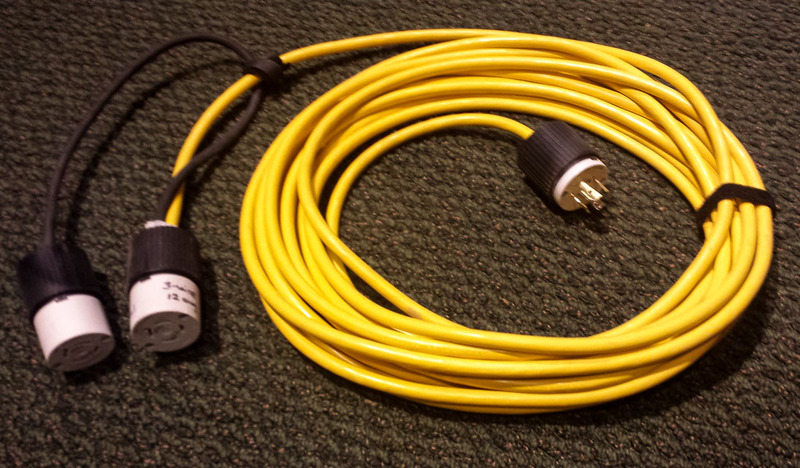 I bought a 50-foot yellow extension cord of 12-gauge 3-wire design. I cut off the ends and connected NEMA L4-20P locking connectors. The current rating is overkill but I have standardized on L4-20P connectors throughout all my generator and 220v devices. Since I have two linear amplifiers, there are two receptacles on the equipment end. Source: Home Depot and many other hardware stores sell extension cords. This one was $65. Each NEMA L4-20P locking connector was about $19. Outstanding. 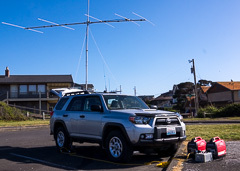 My first usage was in the 2015 ARRL June VHF Contest. The whole system ran superbly, it was trouble-free, and all the various parts worked smoothly and without complaint, and I received good signal reports. Nothing seemed to be loaded heavily or working hard. SSB: The pair of generators didn't seem to notice the 750-watt SSB load. I could run this Beko with a single generator on voice. CW: I could notice the pair of generators would throttle up slightly in response to CW keying. If I shut off one generator, it was working noticeably hard to respond to CW, but it would keep up and the amplifier was satisfied with the power source. Personally, I felt more comfortable using both generators together when operating CW.